I first heard of Wisley about six or seven years ago when, while staying with friends, they invited us to go along to what is the Royal Horticultural Society’s show garden. It seemed much larger during that first visit than it has ever done on our occasional return, but it changes throughout the year and hosts a number of events that makes a repeat worthwhile. We’ve been fortunate to see the orchards producing abundant crops, and to go along to such occasions as an autumn harvest and even a couple of sculpture trails. These yearly sculpture exhibitions are hosted by the Surrey Sculpture Society with 2013’s (which ran 24th-August-29th September) promising to be the biggest ever. I believe this quite possible, having taken numerous photographs of the exhibits on display; more, I’m sure than I did when I attended last year. Although, as always with such displays, there are a selection that make me raise an eyebrow or scratch my head, this year the themes had a great deal to do with nature, and appeared to blend well with the natural environment. Many will no doubt inspire ideas for the garden even if one chokes on the accompanying price tags — the same as art is subjective so were our opinions on the prices asked. Some fair, some not so much. Regardless of the price, many definitely inspired creativity. Note: I would love to be able to attend this year’s Harvest Festival, if only to get me in the mood for my two haunting October releases. A Not So Hollow Heart, and Seduced by a Legend are both appropriately out in time for Halloween. I’ve played the ‘Novel Openings’ game three times, and each time I’ve learned more than I could have done reading three books about writing. Let me explain. You get a bunch of authors (at a lunch, at a conference, down the pub) and they each read the first 250 words from one of their works (finished or yet to be) then discuss them, either the specific extracts or story openings in general. What always amazes me is how different they all turned out to be. Three times, maybe three dozen authors in total and never a duff beginning. All good, but as varied as chalk, cheese and chewed pen lids. Within that small amount of words (a double drabble and a half) the tone of the story was set, the writer’s “voice” was instantly recognisable, you could get a pretty clear idea in at least half the cases about where the story was going to go and you knew the era/setting even where there hadn’t been a Cambridge 1907 type heading at the start. And – maybe most important of all – I think you had a ninety percent chance of knowing whether you wanted to read more. While all the intros were good, not all of them piqued my interest enough to think, “Read on, read on!” It’s a matter of your individual reader taste – is it your style, your genre, your era, your pace. The first time I encountered the Novel Opening format (at the Festival of Romance) led me to think about submitting stories and the importance of them making an instant impact. I’ve been on the submissions team for four different anthologies, and I know we could pretty well tell by the end of the first page whether a submitted story was a ‘goer’. The same applies where submission calls ask for a chapter or three. It’s not helping your cause to say, “The first few chapters are a bit slow, so I sent five, six and seven,” or “they don’t represent the story as a whole”. They’re the first bit the editor will see and if he/she isn’t sold, what chance have you got of nabbing a reader? Do we have the patience to plough through three chapters of intro to get to “the good stuff”? I’ll be facilitating Novel Openings again as one of the panels at UK Meet 2014. Why not come along and play? Lessons for Suspicious Minds, Charlie‘s latest adventure for Jonty and Orlando, (her Edwardian sleuths) is now available from Amazon, http://www.amazon.co.uk/dp/B00FBQZLYS, ARE and all the usual places. The house is oddly quiet this week and next, since my husband Dave is off doing the famous (or should that be infamous?) Coast to Coast walk. 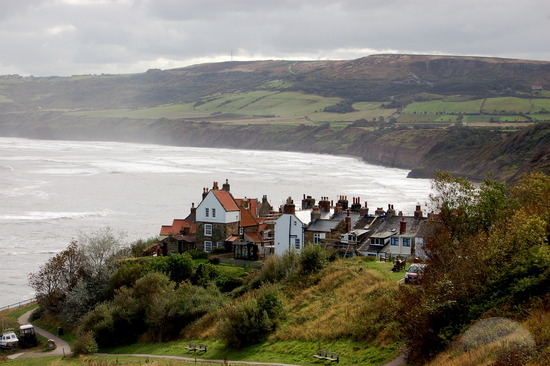 This is a marathon trek of around 190 miles from St Bees in Cumbria to Robin Hood’s Bay in North Yorkshire. On route it takes in some spectacular scenery in not one but three separate national parks – the Lake District, Yorkshire Dales and North York Moors. It also passes through some areas of surprising wilderness – surprising not least because they survive in this hectic twenty-first century. Most people do the walk from west to east, not least because the most challenging terrain is in the Lake District and it’s better to tackle it while you’re fresh, rather than at the end of a fortnight’s plodding when your legs are reduced to stumps and your feet are on fire! 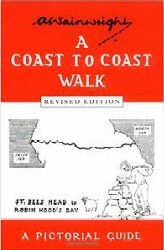 The walk was the brainchild of Alfred Wainwright (more on him later) who devised it for one of his series of well-known guide books in 1973. 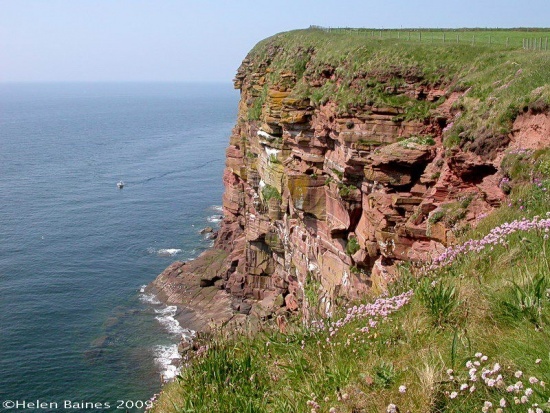 At that time, the idea of walking between two such little-known places was unheard-of, but in the intervening forty years a thriving business has sprung up catering for the thousands of walkers who tackle the route every year. Busiest time, not surprisingly, is in late summer/early autumn, when the summer heat has died down a little but the nights are still long enough to make getting lost less of a problem. Believe me, stumbling around in the pitch-dark on Nine Standards Moor is enough to reduce strong men to tears. So, who was this Alfred Wainwright? Well, originally just an ordinary bloke from an ordinary town in Lancashire, who took a day trip to Windermere in the Lake District and promptly fell in love. Not with a person, but with some of the most stunning scenery – mountains, lakes, rivers, glaciated valleys – in the country. Not long after, he sold up, took a poorly paid job in Kendal and moved to the area, and spent the next thirteen years climbing every hill and mountain by every available route (and a few that weren’t) and writing a series of guide books about the process. The books are special, because not only did he write them in his own unique, drily humorous style, but he also illustrated them with beautiful blackand white sketches and annotated maps. You can spend hours at a time flicking through the pages, poring over the routes up Helvellyn or Blencathra, and laughing at his occasional talking sheep. We’re lucky enough to live within spitting distance of the railway station where Wainwright fist arrived in the Lake District, and within a 2-hour car journey of the start of the Coast to Coast walk. It’s been Dave’s ambition to tackle the walk ever since we moved to the area. He’s currently about a third of the way through, running out of useable feet, but enjoying every minute and every spectacular mile. 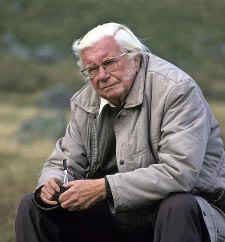 And very grateful to Alfred Wainwright for coming up with the idea in the first place.